This Quick Change Holder from Berlebach is a quick release plate designed specifically to fit the Quick Release Coupling 140 and the Berlebach model 542/642. Utilizing a proprietary design, this quick change holder features a positive locking foot which can only sit and lock in one position—ensuring a proper lock every time. 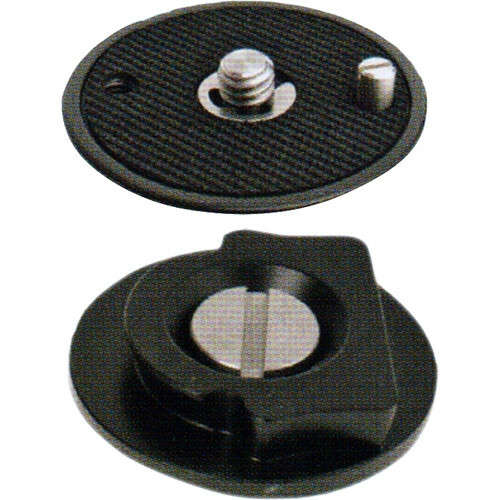 The plate also features a screwed-in locking pin which may be used to reduce the horizontal twisting of compatible cameras or removed entirely if an incompatible camera is mounted. Additionally, the plate features a diameter of 1.5" and weighs just 0.6 oz.